Earlier this month, Ohio voters rejected the latest attempt to change the state constitution through a referendum. Issue 1, a measure to lessen penalties for some drug crimes, lost by a wide margin. Over the years groups have sponsored other amendments, including a successful proposal to reform redistricting and a failed one to legalize marijuana. Now state lawmakers are considering changes that could make it more difficult to change the constitution through the ballot. It has become an almost yearly event: Interest groups, many of them from out of state, try to do an end-run around the state legislature. They collect hundreds of thousands of signatures, put questions on the ballot and try to convince voters to change the Ohio constitution. Ohio Senate president Larry Obhoff says it’s too easy. “Moneyed interests have realized that if you have enough money to pay people to go get signatures, you can tinker with the state’s foundational document,” he says. Obhof and House speaker Ryan Smith have yet to unveil a specific proposal, but they’ve spoken favorably about ideas from other states—changes like increasing the number of signatures to get on the ballot, requiring a supermajority for passage, or instituting multiple votes. While Obhof criticizes the organizations behind ballot initiatives, he has a more fundamental concern with the practice. Catherine Turcer from the government watchdog group Common Cause says fears about bogging down the state Constitution are overblown. Turcer defends the citizen-led process, noting it’s sometimes the only tool available to voters when lawmakers refuse to act. Former Ohio Republican Party chair Matt Borges agrees. “The fact of the matter is, most of the issues that go before voters, don’t pass,” Borges says. Borges has worked to approve or defeat a number of different initiatives. Including this year—he was an early supporter of Issue 1, the failed sentencing reform measure. Borges left the campaign before Election Day, but he says simply getting the issue on the ballot was important. Borges offers redistricting reform and medical marijuana ballot issues as two recent examples of the trend. That’s because signature requirements are tied to the number of voters in the last gubernatorial election. This year’s high turnout means organizers will need to gather almost half a million signatures for constitutional amendments going forward. 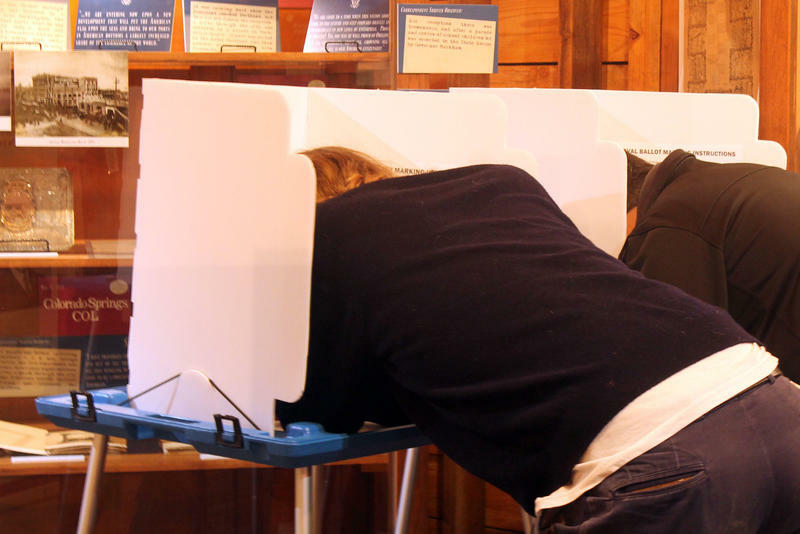 Ohio State political scientist Herb Asher acknowledges lawmakers’ gripe with wealthy groups repeatedly putting amendments on the ballot, but he says there might be another way to address it. “One question I hope they would look at is, how can you make the initiated statute a more attractive option, so that some of these groups would in fact go the statute route, rather than the constitutional amendment route,” Asher says. That process simply creates a law, just like any other passed by legislators. There’s a lower bar in terms of signatures, but organizers have to go through the General Assembly first. If lawmakers choose not to pass the proposal as-is, supporters can get a second round of signatures. Only then does the issue go on the ballot. But even if voters approve it, Asher says there’s a pretty significant catch. “It’s very easy down the road to in fact repeal a statute, or modify it, to undermine its intent,” he says. Turcer, Borges and Asher all acknowledge abuses of the initiative process—whether it’s a business attempting to establish a marijuana monopoly or needing a second amendment to move a Columbus casino approved through an different amendment just one year before. Yes, that happened, back in 2010. Ironically, if lawmakers do come up with changes, they’ll have to present their ideas to the voters as a constitutional amendment on the ballot. Leaders of the Ohio Legislature say it’s time to look at restricting ways for citizens to change the state constitution. The Republican leader of the Ohio Senate says while he and many others didn’t support Issue 1, the criminal sentencing and drug treatment reform plan that failed Tuesday, it had useful elements that the newly elected Senate will make a top priority next year. Health care was a big campaign issue across the Midwest, and Tuesday's election results were mixed. Among the winners: medical marijuana. State Issue 1, Ohio's drug sentencing ballot amendment, has failed at the polls.